There’s a sense of listlessness at the ending of a series, Gentle Reader. I’ve felt it for years as a voracious reader, now I feel it as an author for the first time. It’s a little like breaking up with a partner you still love plus losing friends through time and distance plus ending a long vacation away. 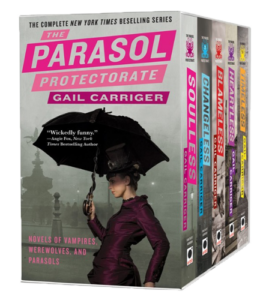 Having finished the Parasol Protectorate series I am left with the certain knowledge that I will never have the experience of writing it again. But, like the penguins, I know that there are new adventures in my future. I don’t have much time to mourn my lost loves, there’s too much more to write. And of course, the beauty of writing in the same fantasy world, with immortal characters, is that old friends can drop in at anytime. I’m just hopping that, unlike after college, none of them end up sleeping on my couch for months. 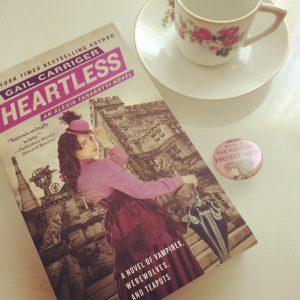 The Steampunk Scholar goes to town, top hat firmly in place, on the subject of steampunk and how books may or may not be classified using Heartless as his jumping off point. A hugely insightful academic peek into the current debates over aesthetic vs. genre. 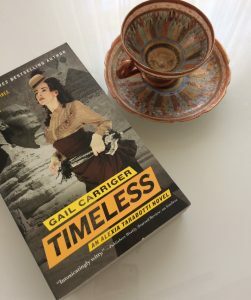 Timeless was so delicious that as soon as I had finished, I began it again from the beginning. I can't wait for the next two series to come out! Is the finishing school series ending at the 4th book? Or will there be a fifth book? Yes, it ends at 4 books.